Complete enclosure for round 12ft trampoline. 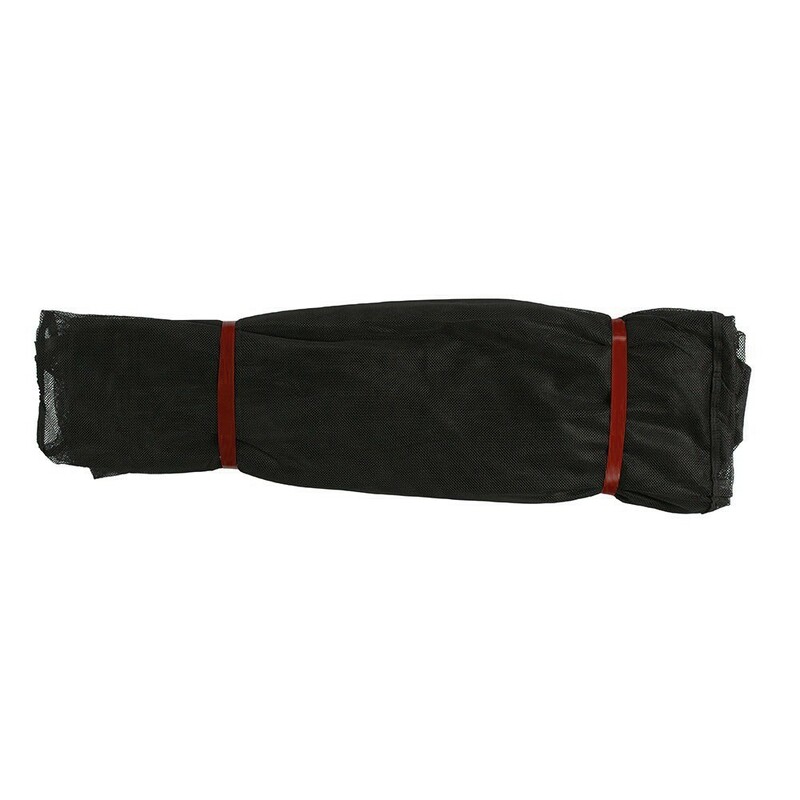 This pack includes a textile net, net posts and protection sleeves. If your trampoline enclosure has been damaged after several years if use, we advise you to replace it to ensure maximum safety. 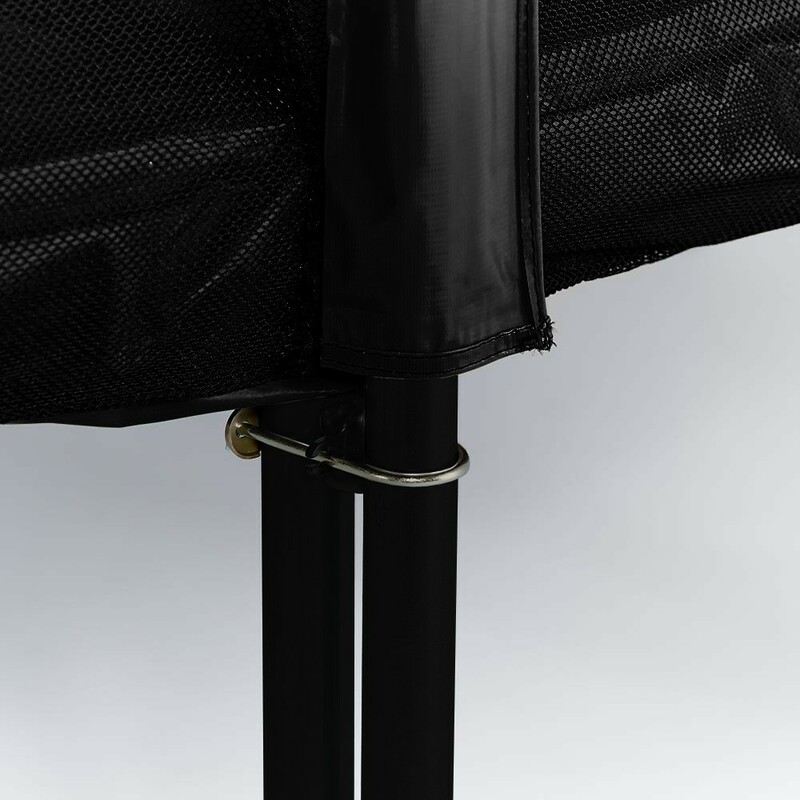 This trampoline enclosure includes netting, padded net posts, protective sleeves, fibreglass rods and fixing brackets. No need for screws to install this net! 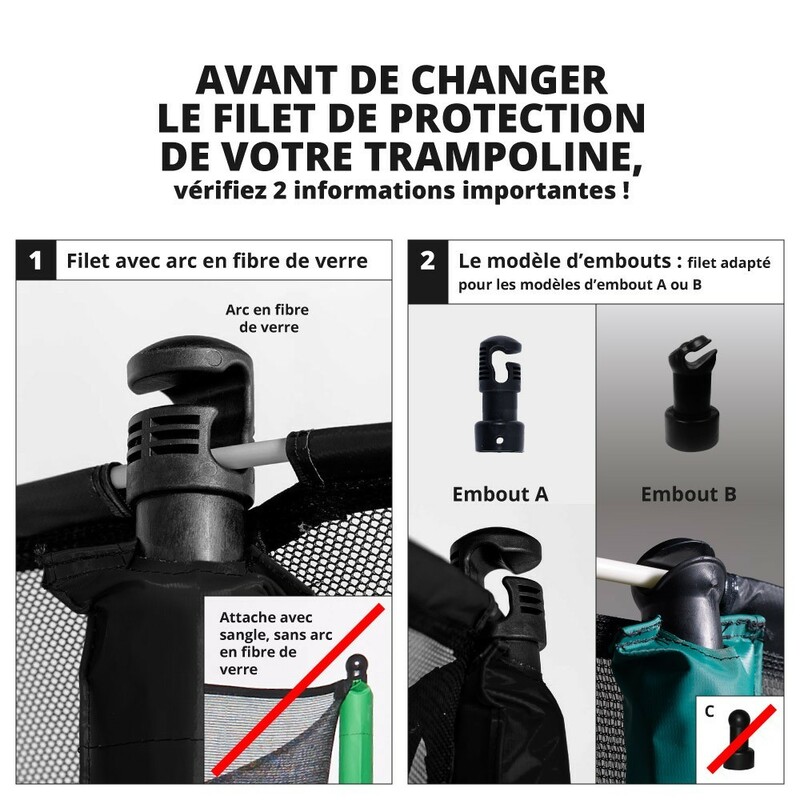 - Compatible with a round 12ft trampoline (outside diameter), equipped with 4 feet, whether your is a France Trampoline brand or not. 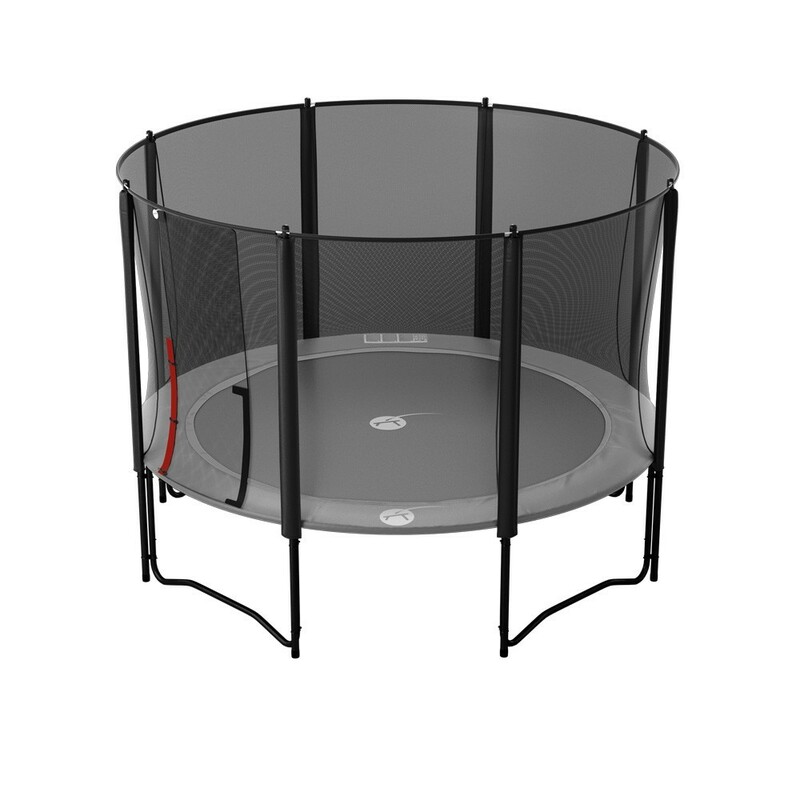 This enclosure equips our Black Booster 360 trampoline. - Maximum stability. 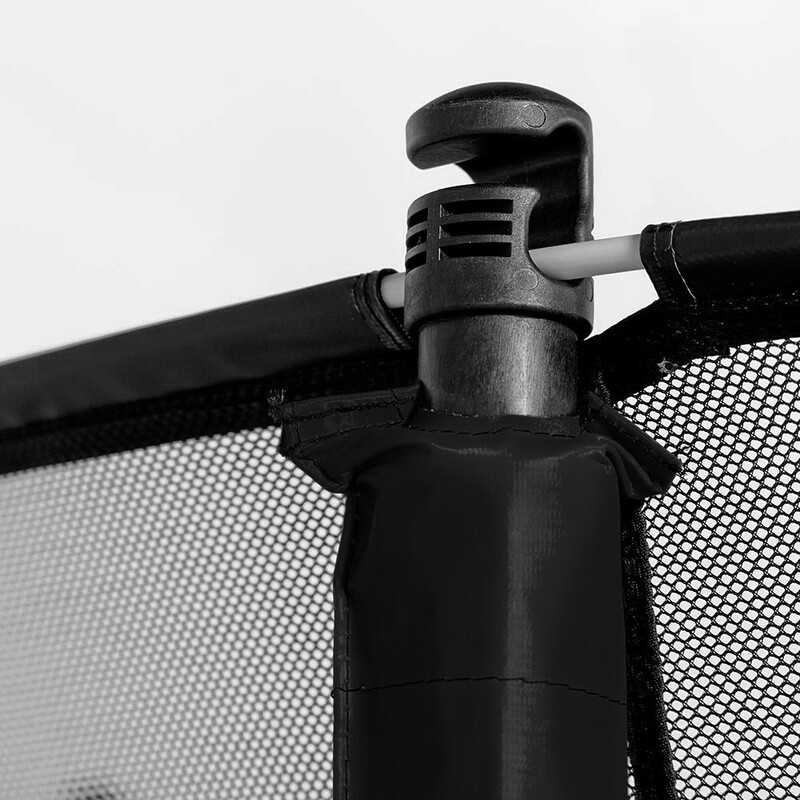 Each net post is made from 1.5 mm thick and 38 mm wide hot-dip galvanized steel tubes. For extra stability, they stand directly on the ground and are fixed in 2 points on the trampoline feet. - Maximum safety. 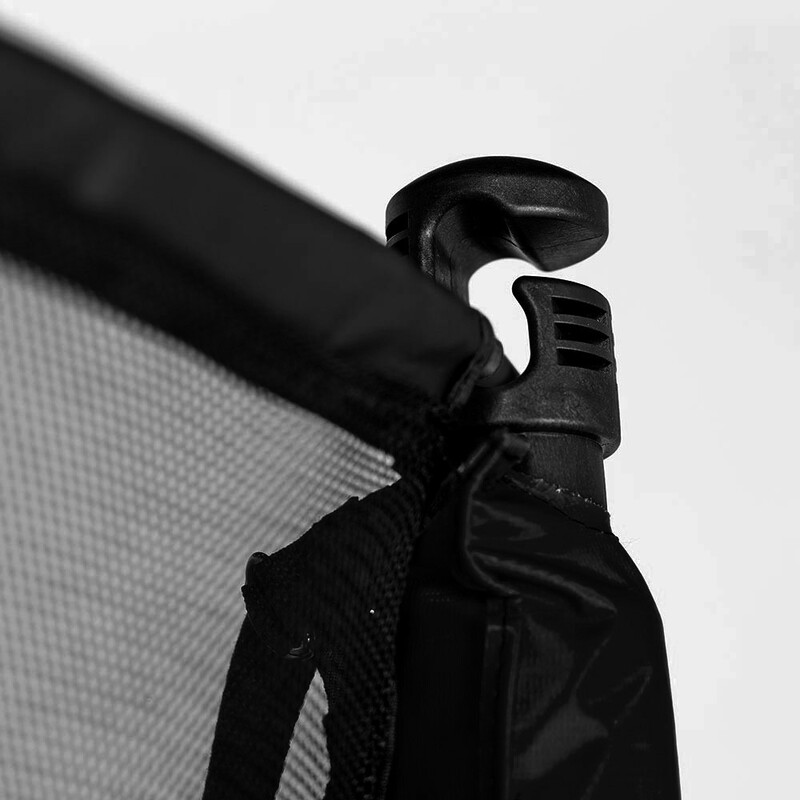 The top parts of the net posts are protected with 10mm thick foam and a PVC sleeve, which allows to absorb any shocks. 2.69 m high, the enclosure will protect all users even when they are carrying out big jumps. Netting tension is ensured by fibreglass rods placed at the top of the net. 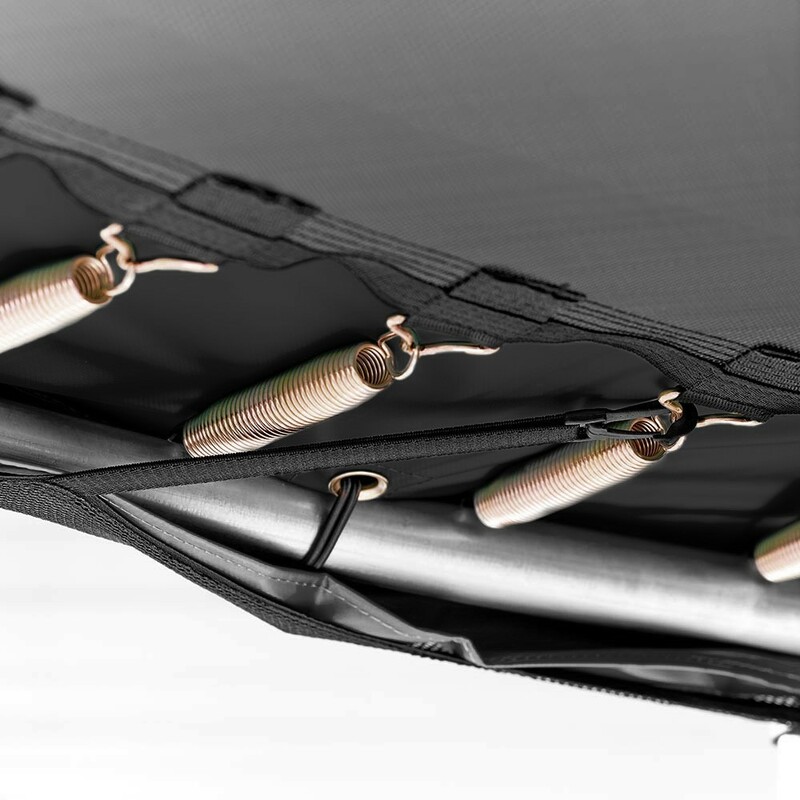 The netting is also fixed under the trampoline frame pad, leaving no space between the frame pad and the net. 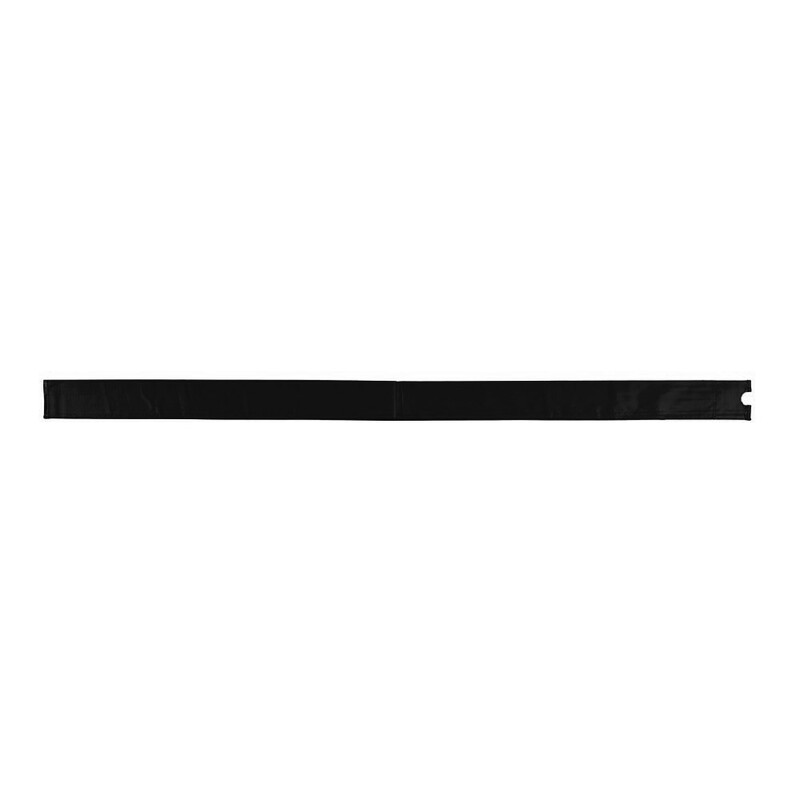 - Resistant but light netting. 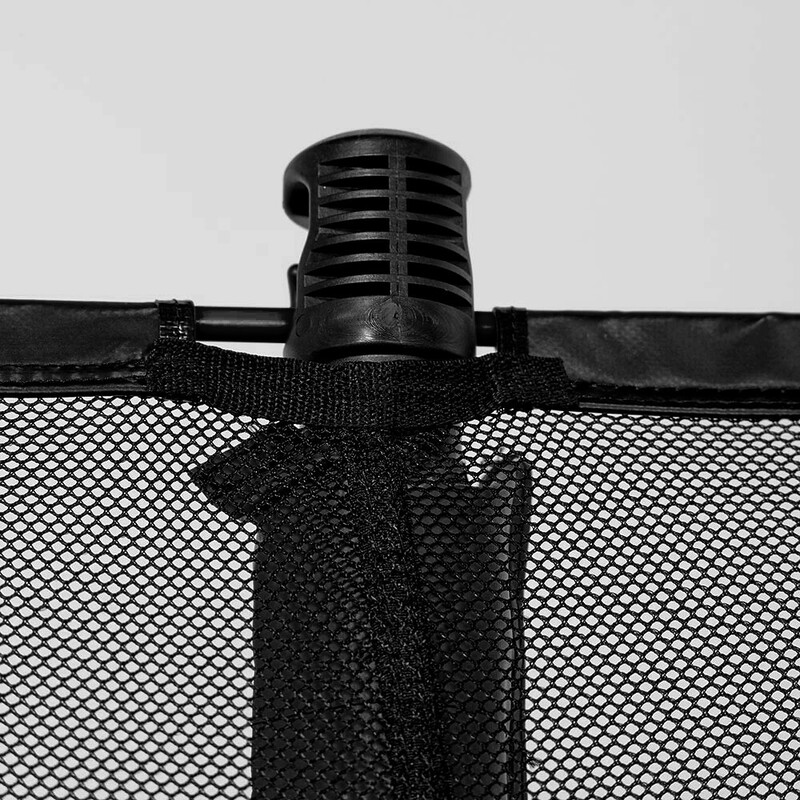 The net is made with tight polyester netting. It will stop all users from falling outside of the jumping zone. 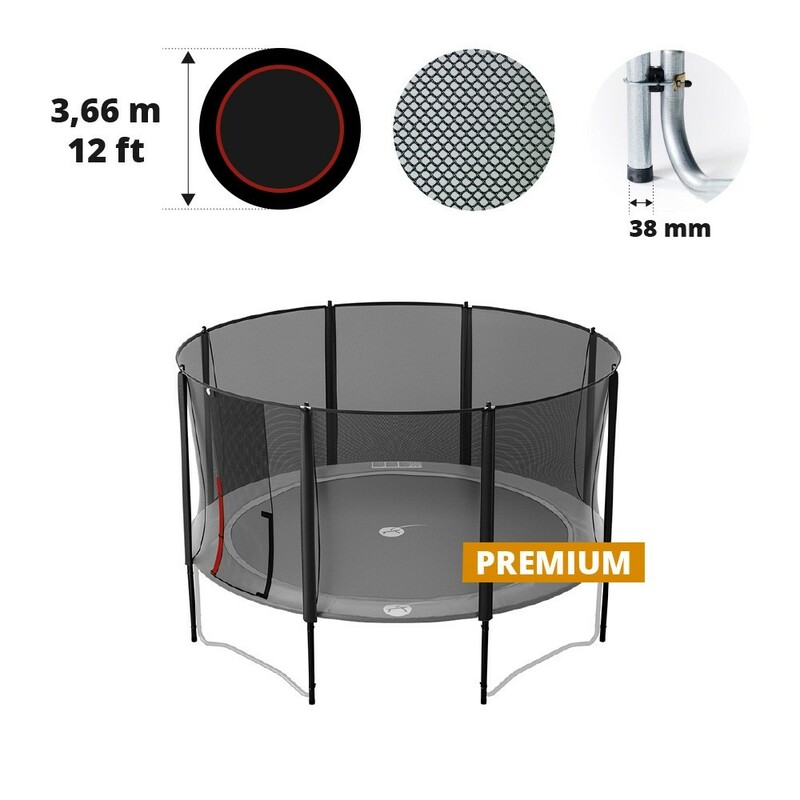 Entry to the trampoline is made possible thanks to an overlapping entrance which can be opened and closed thanks to Velcro strips and several snap hooks. Bonne facture, a l'air solide. L'ouverture de la porte est peut être un peu compliquée en autonomie pour des enfants, à voir à l'usage.